One of the best investments in real estate field is commercial property. Now a day’s commercial property is giving very good return compare to residential property. Before few years people were keen to invest in residential property but today trend is reversed. Commercial property is hot favourite today. 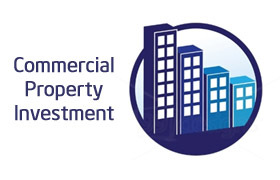 We are herewith reasons to invest in commercial property. With boost in small business demand of office space, retail zone, IT and Banking is likely to grow in coming years. Small companies are preferring office space on rent. Rental income of commercial real estate property is higher 9-12% compare to residential property 3-4%. Commercial property in smaller size is available today, these is in contrast to earlier scenario where only larger size property was available. As per estimate commercial property rates are increasing at rate of 12% or more. Professionals like Doctor, Share broker, Lawyer are growing and they prefer to purchase commercial real estate property for starting business. For residential property bank will give loan up to 80% but for commercial property bank will give loan only up to 50-60%. For Home loan good amount of tax exemption is given by government but for commercial real estate no tax exemption is given. It is very important to check credential of developer before doing any transaction. Commercial property papers are complicated and consist of multiple clauses. For Commercial property you need to pay more for insurance, property tax etc. Select location of commercial property carefully. Check availability for public transport system and infrastructure development in that area. Returns are highly dependent on location of commercial property. Major Demand of commercial real estate property is coming from IT sector. As per estimate given by NASCOMM IT sector is growing exponentially. Around 51 Lac new job will be generated in IT space by 2022, this will cause major demand in commercial property. Next to IT is Banking and Financial Institute. This sector will need approximate 45 to 50 Lac sq.foot space across country by 2017. Retail sector is another area from which demand will come. It is estimated that by 2020 retail sector will need 27.5 to 30 Cr Sq.Feet space across country. Government is taking various measures for growth of business and entrepreneurship. This new business will defiantly call for commercial real estate property. Manufacturing sector is another area where major announcement is done in budget. New Manufacturing zones and textile parks will defiantly demand commercial space. So, invest today in commercial property to get good returns.